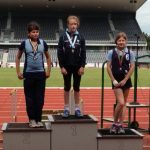 Well done to all the pupils who reached the National ISA Athletics Championships it was a great day with some excellent results. Congratulations also to Jess B, Harrison E, Phoebe W, Lucy T and Michael A for their great performances. It was an amazing achievement for everyone to reach the National finals. 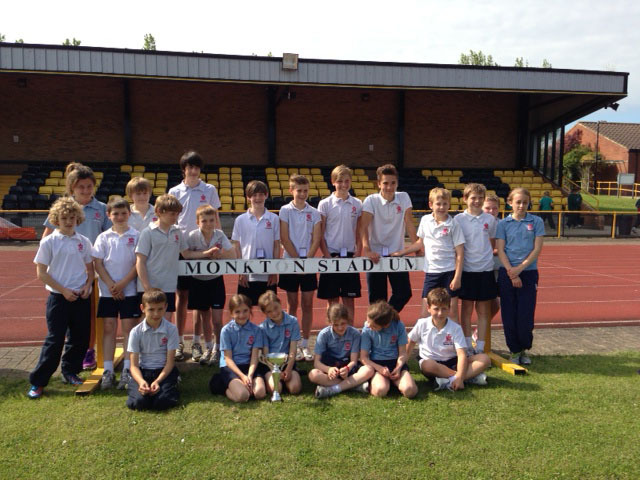 22 pupils represented Red House at the Lindisfarne Plate Athletics and we achieved some excellent results. 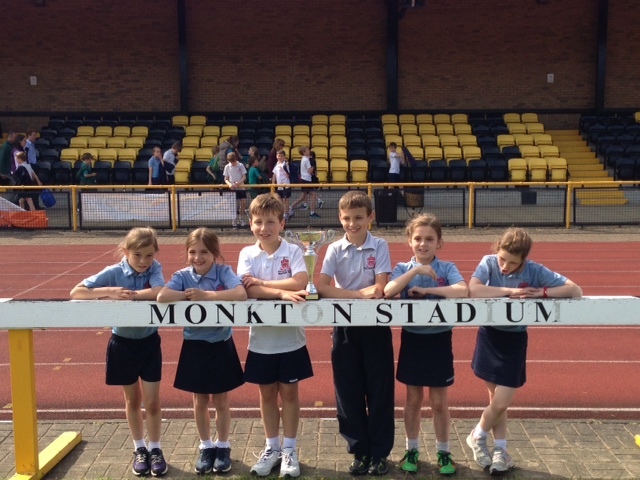 The best team results on the day came from Year 4 who did tremendously well and won the Year 4 competition. Year 4 also won the relay in great style to secure double points at the end of the afternoon well done to Matthew W, Lily P, Kathryn W and Lily CS. 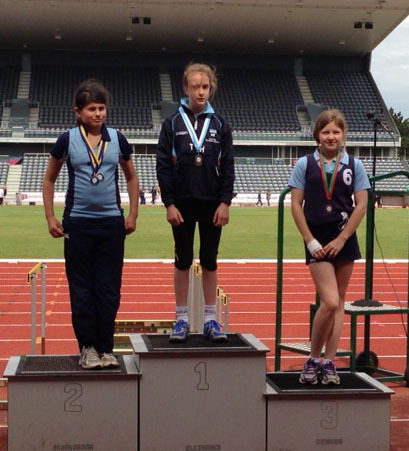 Well done to everyone mentioned but also to all athletes who competed on the day. Well done to all the pupils involved there were some fantastic performances on the day. 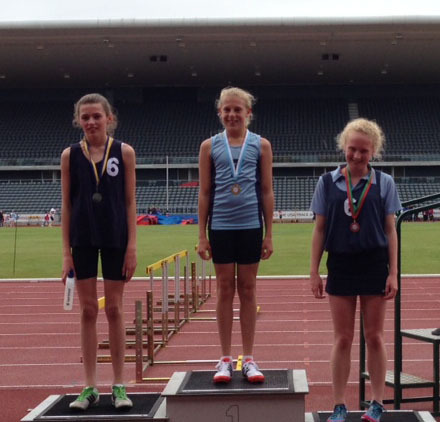 Rebecca H broke the event record in the 1500m (a year young!) and ran an outstanding race, unfortunately she just missed out on 1st place. 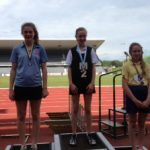 Rebecca however beat the current school record, as the U13 Girls record stood at 6.14.15 from as far back as 1999, and Rebecca now replaces this with a staggering 5.31.70!! 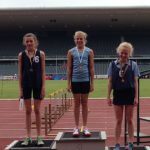 Olivia Small also came 3rd in both 200m and long jump, Laura Hill came 2nd in the 100m with Lucy Armstrong coming 4th. Seven pupils will now go on to represent the North at the National ISA Athletics Championships. 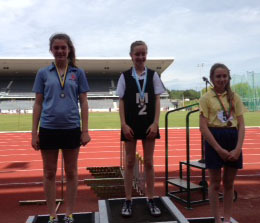 The Yr 7 Girls did exceptionally well in winning the North (Pre-Junior Girls) Team Trophy (Pictured left and also team member Lucy who is not pictured). Sam Dixon, Year 11, performed fantastically well at the ISA National Swimming Championships in Coventry. 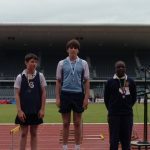 In the U20’s Individual Fly he just missed out on first place, but it was close and the other pupil broke the record, meaning Sam achieved a very respectable 2nd place. Sam also played an important part in the IM relay team, swimming the Fly leg, which they also came 2nd. Finally he took on the freestyle relay which was a thrilling race and they managed to just beat the Midlands to take gold and they were only a fraction off breaking the record! The boys’ team performed extremely well at the North Finals at Leeds University. In the group stages they beat the two North West representatives, Kirkham School (1-0) and Kings School Chester (2-1). These impressive wins secured our place in the semi-final against St. Olaves, York however on the day this team proved stronger and they went on to win the tournament. Well done to the Red House team for reaching the semi-finals. 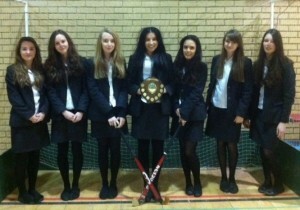 Congratulations to Year 10 for winning the Stockton District Indoor Hockey League last night. The score was 2-2 at half time and 7-2 at full time! A nervous first half but all players lifted their game and the first goal in the second half seemed to raise confidence levels. It is a tremendous achievement to win the league and this is the first time they have lifting this particular shield. Well done everyone. Well done to all the girls in getting through to the Stockton District Hockey Finals although we came runners up it was a solid team effort. 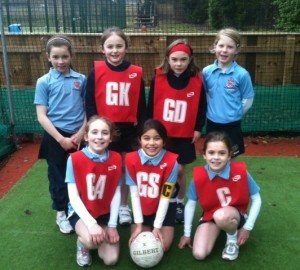 It was the annual U9 Netball Tournament, it was the first netball fixture ever for all the girls and we were outstanding! A tremendous team performance with goals from Franscesca (1) Lily (1) Lauren (2) and a special mention goes to Iyrah – who was a great captain and led by example scoring a fantastic 9 goals throughout the tournament which was a tremendous achievement! The final was a very tough match and on this occasion we came runners up. Congratulations for getting so far and well done to all the girls for playing brilliantly. 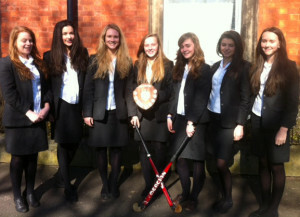 Congratulations on reaching the Indoor Hockey final and winning 8-2 against Yarm School. A fantastic team performance !